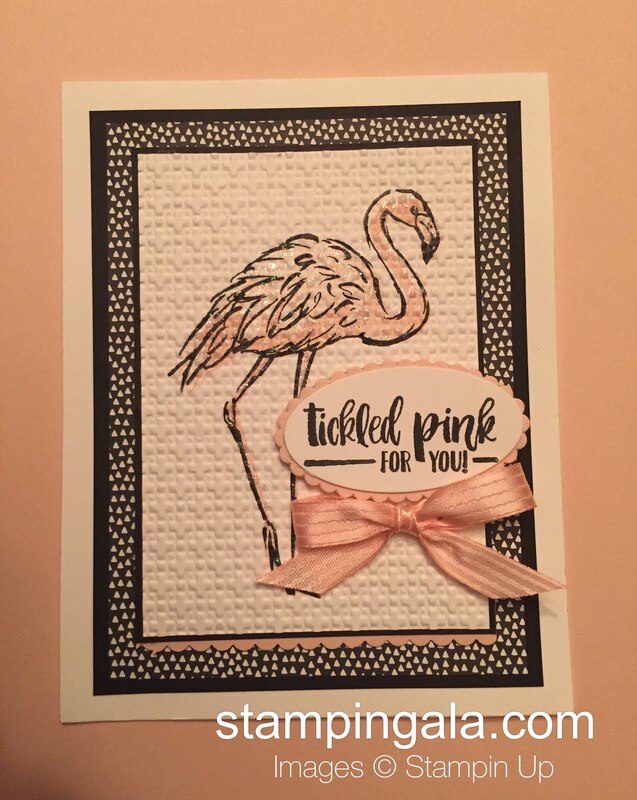 A three-step process was used for today’s Fabulous Flamingo card. 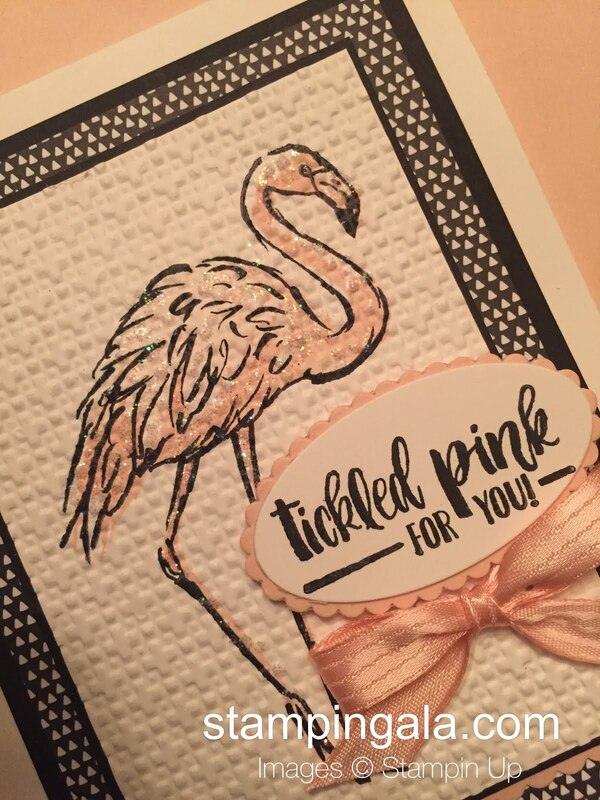 1) Ink the full flamingo (image with legs) in Flirty Flamingo and stamp. 2) Stamp the body and legs with Basic Black Archival ink. 3) Ink and stamp the solid flamingo body in Powder Pink ink. The completed image was embossed with the Square Lattice Embossing Folder. Add a little ruffle border created with the Decorative Ribbon Border Punch. Crop the sentiment with the Layering Ovals Framelits Dies. Finish it off with a beautiful 3/8″ Satin Ribbon and Dazzling Diamonds Glitter. Hover of the pictures and pin them!! Click on the products below to order anytime! !